I heard of the government’s demonetization scheme when everyone else did – through the Prime Minister’s address to the nation. It was immediately clear that while the government’s move was well intentioned, bankers would have their work cut out over the next few months. I work as an Assistant Manager at a Public Sector bank and Gujarat, and the week has been the the most stressful of my career. Now banks work in a routine, and there’s a daily set of jobs to be repeated every day. These tasks have to be completed within a certain time – before closing – and delays can lead to financial losses. Every branch is equipped with enough staff to handle day-to-day operations. For instance, a typical public sector bank’s branch in an urban or semi urban area comprises of a staff of 5-8 people. And a banker’s workload is measured in vouchers. If a customer visits a branch, and deposits cash, they get a voucher, if they deposit a cheque, they get a voucher. A voucher is roughly the number of people visiting a branch. We used to typically handle a work load of 200-350 vouchers. For the last week, it’s jumped to 700-900. That’s a threefold jump, instantaneously. And my bank is seeing cash like never before. Before the announcement, our closing balance used to be Rs. 8-10 lakhs. Now our closing balance averages around Rs. 2 crore. Our work timings used to be 10-4; now we work all day without once looking up. The staff has been coming early to start the day’s work like clearing, cash sorting so that they can have the most possible time to exchange and deposit old notes. Our minds are numb by the evening, and when the customers leave, our jobs are still not done. After public dealing stops, it still takes another few hours to complete the work for the day. The real task is to tally the closing balance which can be short or in excess if we aren’t lucky. It may take any number of hours to find the mistake. And if the mistake isn’t discovered then the cashier has to pay the difference, if cash is short, from his pocket. And differences are in multiples of 500. Several colleagues of mine have had to pay as much as Rs. 10,000 because daily balances haven’t reconciled. And what makes our task difficult is that most branches are not equipped with the kind of sorting machines needed to handle such work load. Counting and finding a fake notes are done manually at many branches. For the most part, despite the large crowds, things have been peaceful at my branch. The Nagar Palika has sent over two constables to maintain law and order, and they ensure that things don’t get out of hand. People are patient, and grateful to finally exchange their money. But many are confused with the daily/weekly limits for withdrawal. Right now, one can withdraw Rs. 24000 in a week, but the week starts when you first debited your account – it is not the Monday to Sunday week. This limit also includes cash withdrawals from ATMs . If people don’t understand these things, they have to stand in the queue, and when they finally reach the counter their account can’t be debited and they have to draw a new cheque/withdrawal form. Another interesting aspect is the money that has been coming into the Jan Dhan accounts. I suspect that this isn’t people’s own money. My branch is not in a Tier 1 city, and the people here are not rich. But there has been money coming into these accounts. People who’ve crossed their Rs. 2.5 lakh limit are depositing their cash into other people’s accounts, presumably for a commission. You need a PAN card to deposit amounts over Rs. 50k – people have been depositing Rs. 49k into accounts. It’s been a stressful time for everyone, and I empathize with the people standing in queues. We also have been working for 12 hours a day, and not taking holidays. 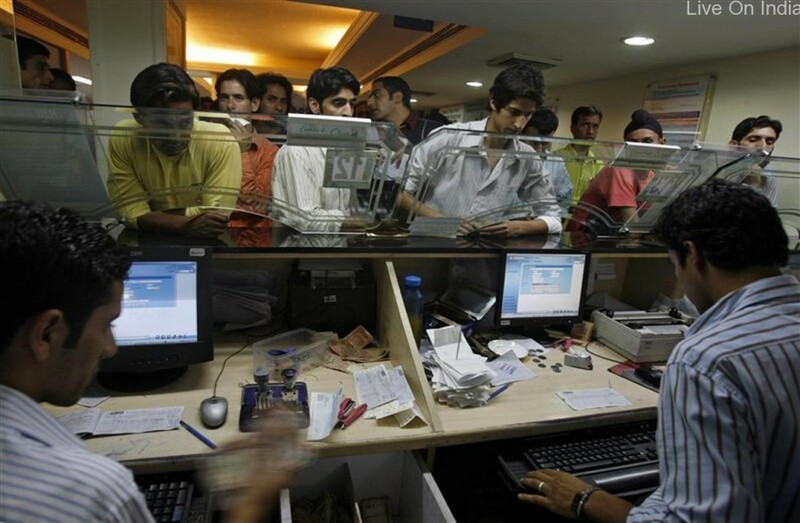 Monday was not a holiday for bankers in states like Gujarat and Maharashtra. But the demonetization is for the greater good, so I don’t mind so much. I hope that this scheme reaps benefits that makes all this worth it.